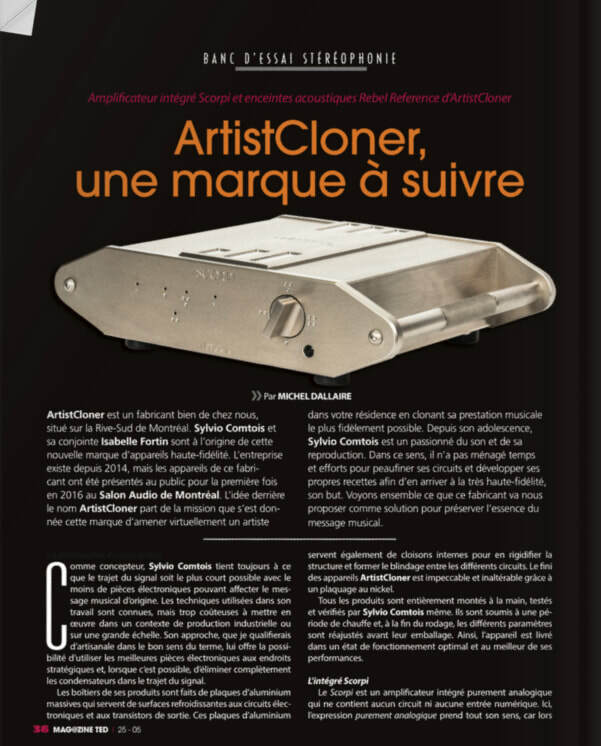 ArtistCloner est un fabricant de la rive Sud de Montréal dont la qualité d’exécution et la sonorité de ses produits sont d’un très haut niveau. ArtistCloner is a manufacturer from the south shore of Montreal with a very high level of quality of execution and of sound. 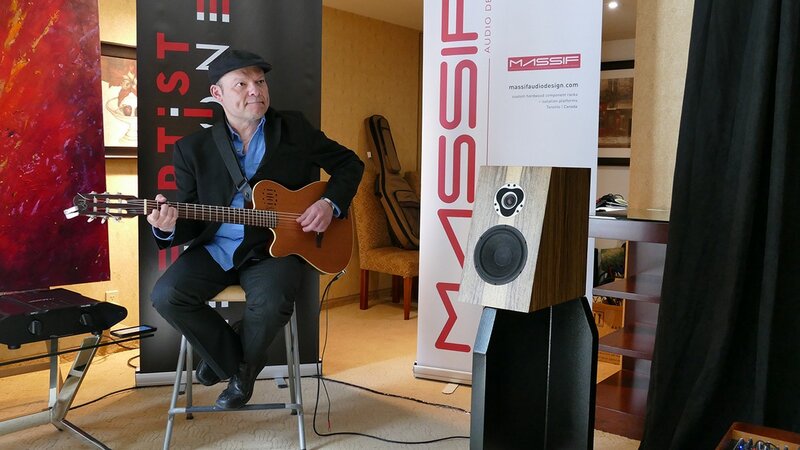 Sylvio Comtois continued on the road of excellence with only minor modifications to his Artist Cloner line of solid-state integrated amp, stand mounted monitor and cables. The darkened room with spot-lighted components created justifiable drama for the excellent sound here. The monitor ($16,000 w/stands) had taken on a different shape than I recalled from two years ago with clipped upper corners and a creased front baffle to time align the drivers. All told, one of the Best Rooms at the show. 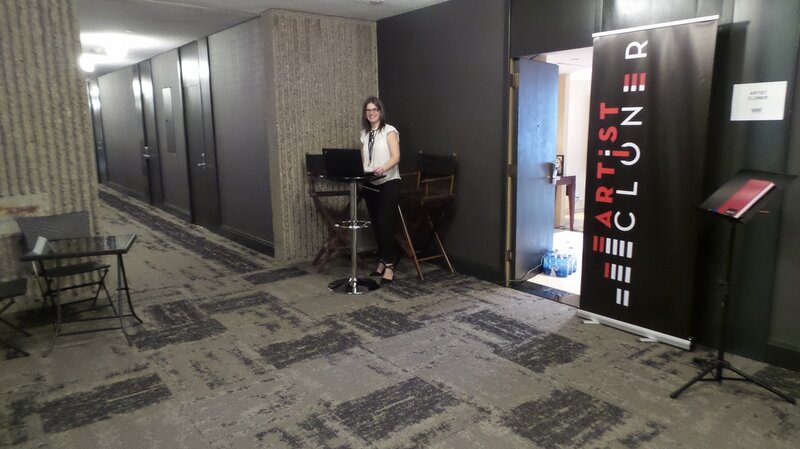 Saw ArtistCloner at Toronto Audiofest 2018 - tied for best sound at the show in our opinion, and again this weekend at Montreal Audiofest I would say the same.When people get up to leave your room, and then turn around and sit down again to listen more because it sounds so good, you know you are doing something right! Keep up the great work, You truly deliver hi-end sound! ...may have the best sound at the show! 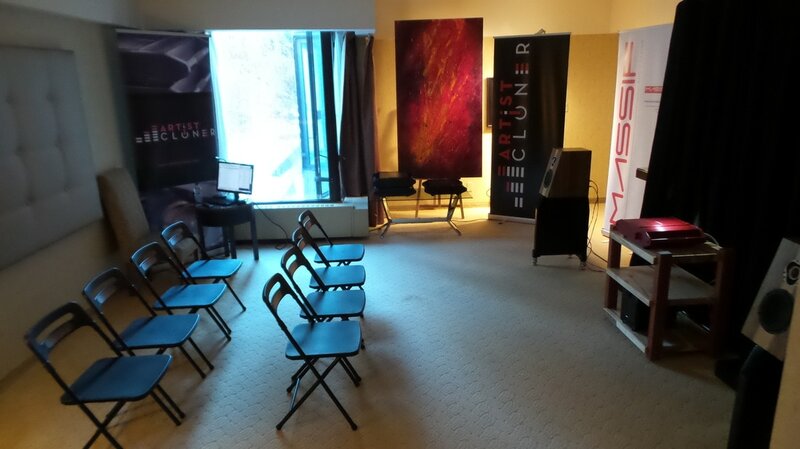 ArtistCloner, a young Quebec manufacturer, arrives in Toronto with a complete ArtistCloner audio system and with the Merging Nadac as source. 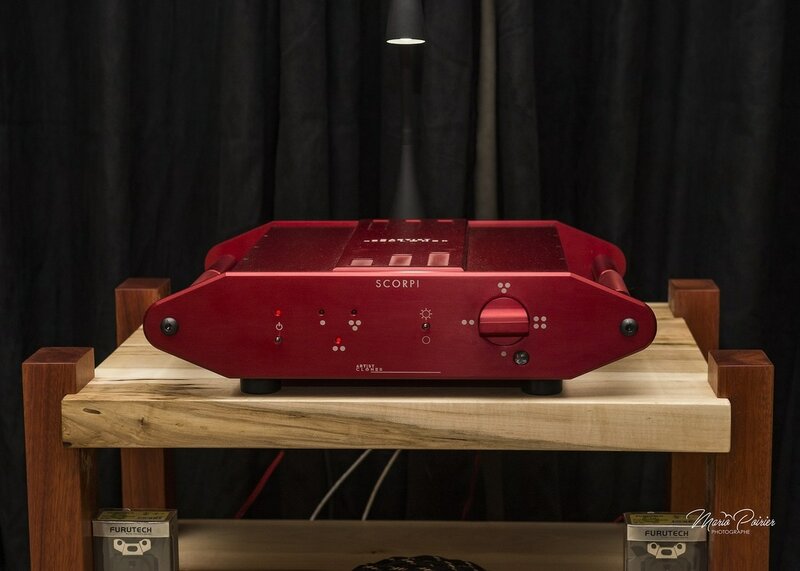 Made up of the Scorpi integrated amplifier and the Rebel Reference loudspeakers, this sound system has literally hit the hearts of audiophiles in Toronto. I stayed there a long time to listen of course, but also by pride, just to watch the reaction of people … which was really very positive. And with good reason, it sounded heavenly with a lot of dynamics and fine details; the Rebel Reference loudspeakers filled the room of music with a swing that had little comparable. 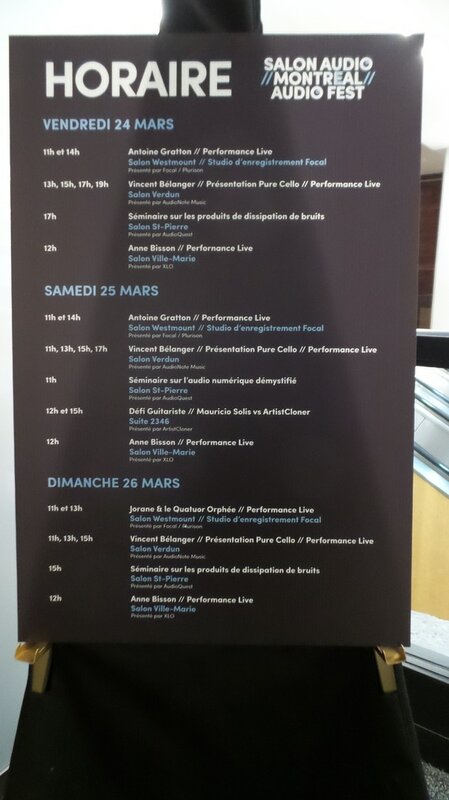 Congratulations to Sylvio Comtois and Isabelle Fortin for this beautiful presentation, you have something to be proud of and keep up the good job! 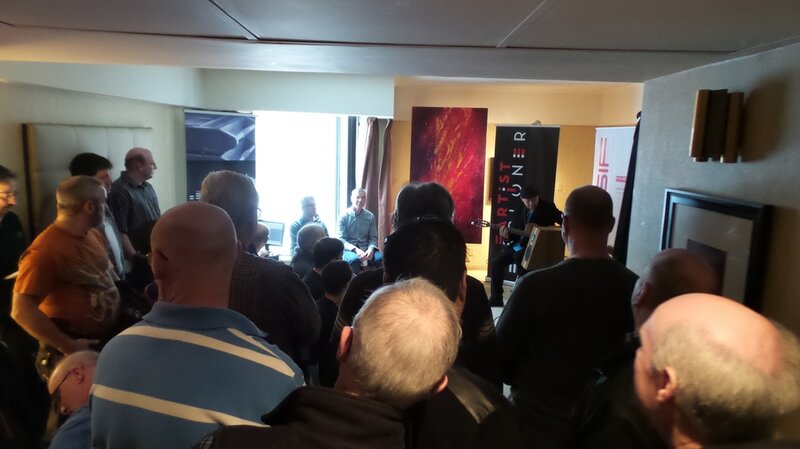 This room was the biggest surprise of the Show....The sound in this room totally blew us away. It was big, bold, imposing and true-to-life. The midrange was as smooth as a baby's bottom and the bass was tight and very tuneful. Even at higher volumes, the compression and distortion was surprisingly low. For a maiden attempt, we think that Sylvio has hit this one out of the ballpark. 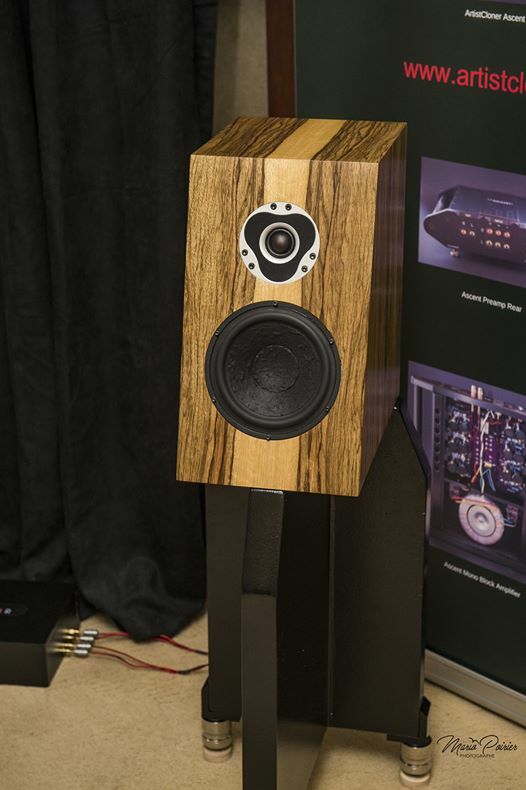 We have no hesitation in declaring that in the $15,000 price point, the Rebel Reference was the best value, best sounding bookshelf speaker at the Show. Next up, ArtistCloner. Ahh, finally.. my chance to find out what the fuss is all about. Sean introduced me to Sylvio Comtois and his wife Isabelle, both very charming people, and then someone asked me if I wanted to hear Pink Floyd “done right”. After that, details are sketchy. Possibly I was abducted by aliens? I don’t know. But I’m not sure if I’ve ever heard digital music (via Merging NADAC) sounding so….analog. Sylvio had made a major effort in getting this room to sound good. I heard new details on tracks from The Wall, and a three dimensional soundfield like I had not heard before. Outstanding. A few comments below from the Canuck audio forum's multiple posts on ArtistCloner. ...the Rebels have been added to the Christmas list. These mid sized book shelf speakers kicked it out of the park. These were the highlight of the show for me. For a one man show to produce some of the best sound in the show is an accomplishment to be commended! ...one of the best sounding rooms! This company is definitely on my watch list. +1 I believe new ground has been broken with the Rebel speakers. ...the integrated and those speakers sounded really nice. I for the life of me, cannot get these speakers out of my mind. I had trouble putting them out of my mind as well! ...the ArtistCloner room was excellent. I asked if he had a sub-woofer in the room because the bass was so good. Lastly the ArtistCloner room that a lot of members have mentioned was a big surprise. Sylvio is on to something. ArtistCloner, of Montreal, played Edition 6 of their Rebel Reference 16" x 9" x 14.5" powerhouse....The advertising copy promises “a bookshelf speaker that thinks it’s a full-range” and the Rebel Reference, powered by a Scorpi integrated amplifier and playing files from a Merging PL8 NADAC + player, acquitted itself more than adequately with Iván Fischer’s Channel Classics recording of Mahler’s Symphony No. 3. Top five at the show! See our Facebook for pictures and videos of the room. Get your copy in a store near you or see the French copy online! Starts on page 36. 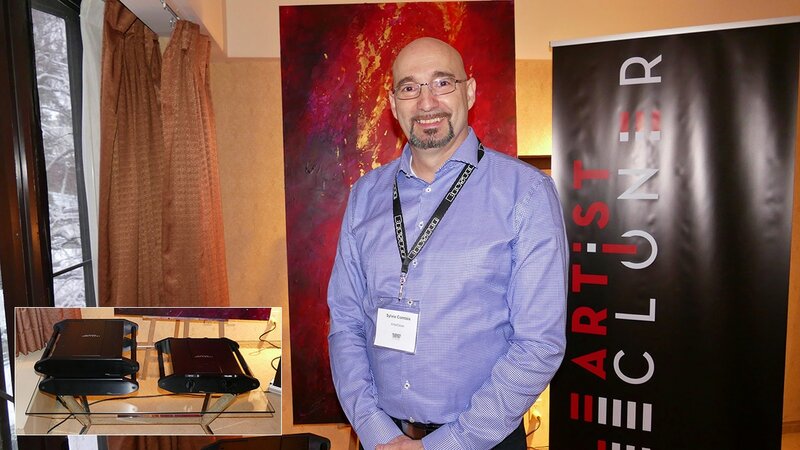 <<I heard more great sound in the room hosted by ArtistCloner, a Quebec-based manufacturer helmed by audio designer Sylvio Comtois, whose room at the show seemed one of the more popular ones. And I understood why: what I heard from this complete ArtistCloner system.... was sound that was gutsy, transparent, and excitingly effortless. --I often caught myself, a devoted tube-gear aficionado, thinking: "I can live with this! "—a testament to what I heard at the time as a near ideal balance of sonic virtues between solid state and tube technologies. The RED BOOK is a book left at the front entrance of the rooms of audio shows. The quotes below are mostly in french and we have translated them to English. If you want to see the original text where the quotes were taken from the link is here. The book expresses a good description of how people feel after hearing the complete ArtistCloner system. <<I thought that I didn't have a musical ear... now I know that I have a very musical ear....all that what missing was the best system of diffusion for me to realize. Thank-you ArtistCloner. To see the original comments, click on the picture above. The French comments have been translated to English. <<My favourite of the show! Exceptional musicality and we could spend hours at your demo. Thanks to all who took the time to write in our RED BOOK! Thank-you to all who came! We really enjoyed that amazing weekend!